Visions of sharing my bed for the next few nights. That was until we saw the magic: bunk beds. 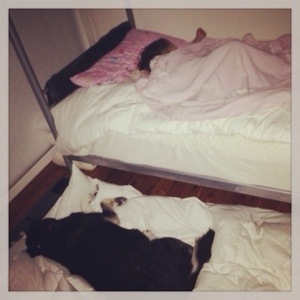 Love Bug who has only ever slept in a cot declared the bottom bunk her own … and slept peacefully through the night. Love Bug is in safe paws….